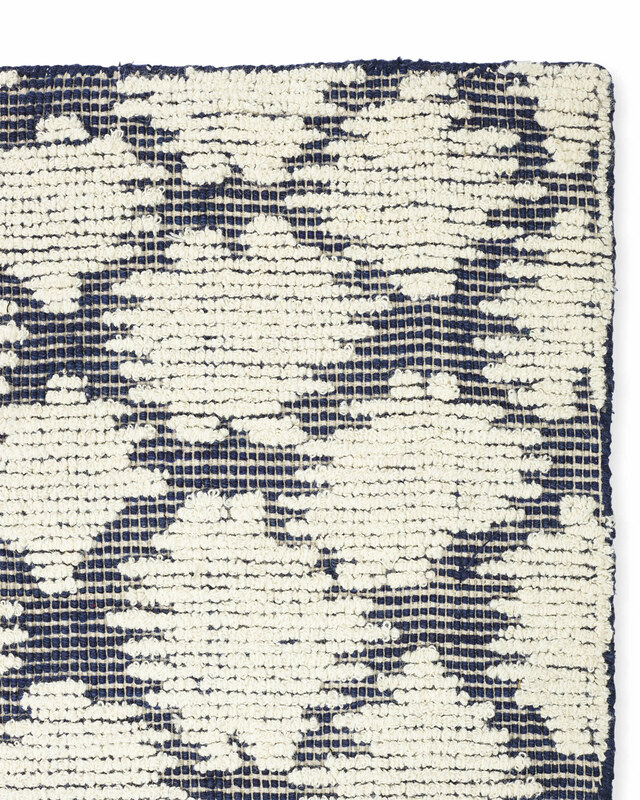 Brunswick RugBrunswick Rug, alt="Brunswick Rug, "
Print When it comes to textiles, playing with different weaving techniques is the key to great texture. (And great texture makes for a more interesting room.) Here, a smooth flatweave base gets an inspired overlay of tufted loops. The result? 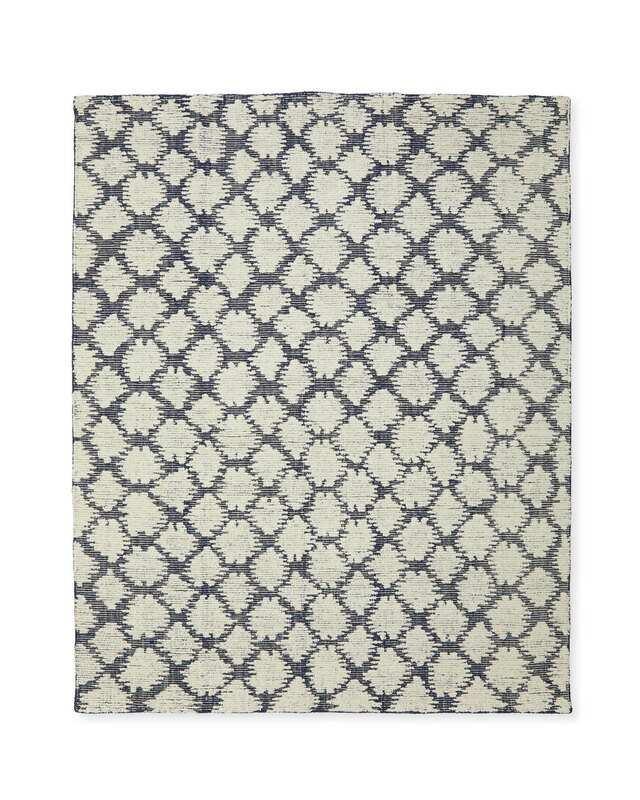 A beautiful diamond-patterned rug, with contrasting textures for fabulous highs and lows that feel as great as they look. 57% wool, 27% cotton, and 16% synthetic fibers. Flatweave with over-tufting for texture that feels great underfoot. Blot spills immediately with a clean, dry cloth. Spot clean with mild detergent if needed, occasional professional cleaning may be required.